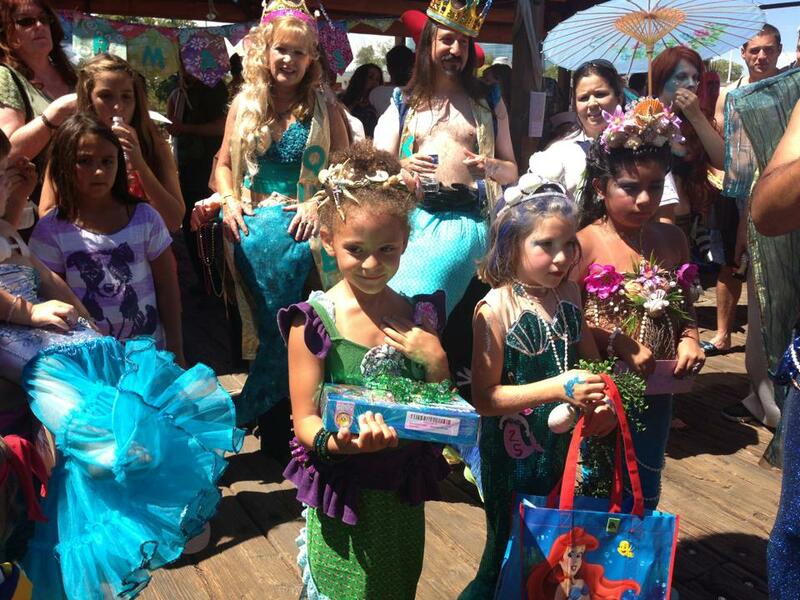 Please join us for the 6th Annual Promenade of Mermaids! 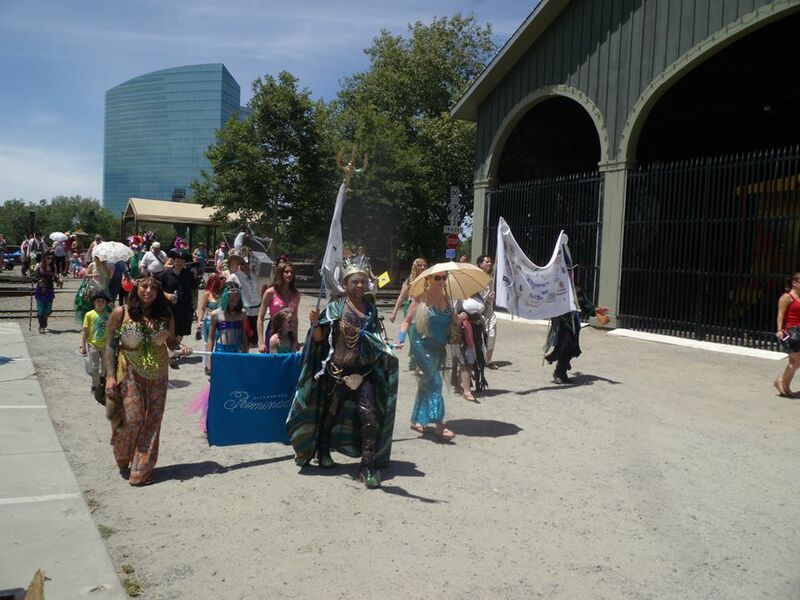 The Promenade will begin and end in Riverfront Park at 1000 Front Street in Old Town Sacramento (just north of the Old School House) on SUNDAY, June 5th, 2016. 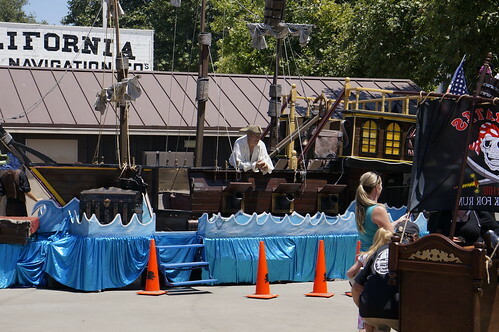 We begin assembling by noon and commence the Promenade at 1pm. 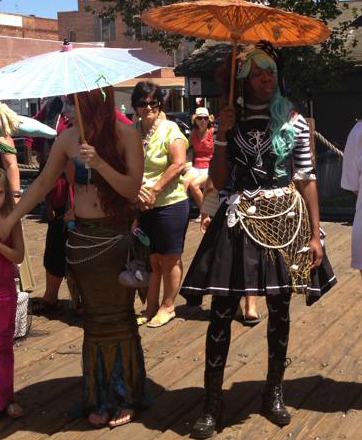 You are not required to register to promenade with us. In fact we have done away with pre-registration altogether. 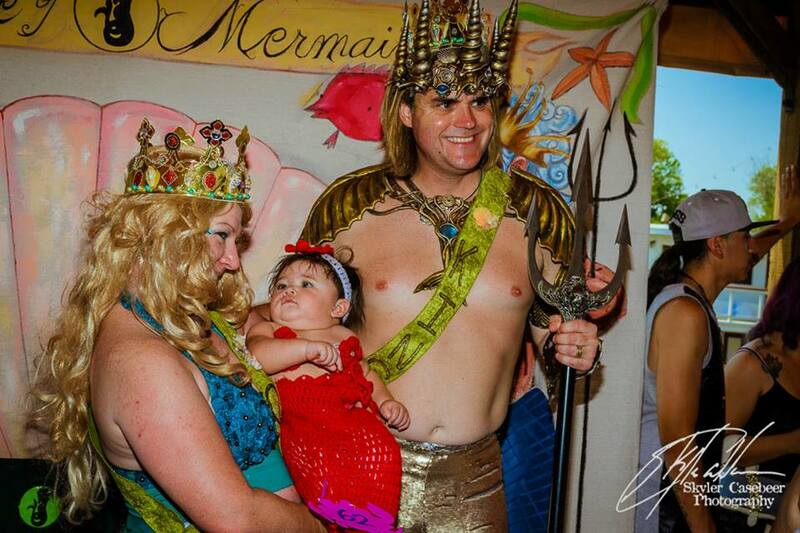 Those that wish to be considered for costume prizes need only show up by noon to get an entrant number. This year all child & Adult entrants are free. Look for our donation chest on the registration table which allows for better prizes and helps to pay for all the fantastic freebies we are adding for the children this year. 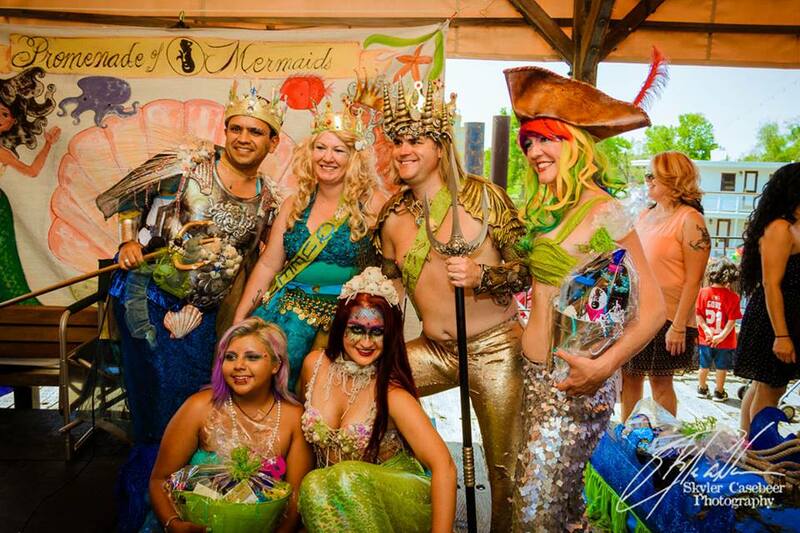 This year we are joined by Flying Mermaid (aerial silks), Storytime with Mermaid Kariel, PirateShipFun along with Pirates of Sacramento’s Pyrate Skool and monkey cannons, Pixie Tribe will be creating HUGE bubbles, Vicious Vanity FX, Fae’s Special Effects, TSM Mer-Makeup, hair coloring, MER-chandise, balloon contortionists, helium balloons, and Hula Hoop Fun all this and more as pre-Promenade activities in the park begin at noon and culminate at 4pm after a mesmerizing Mermaid belly dancing performance. 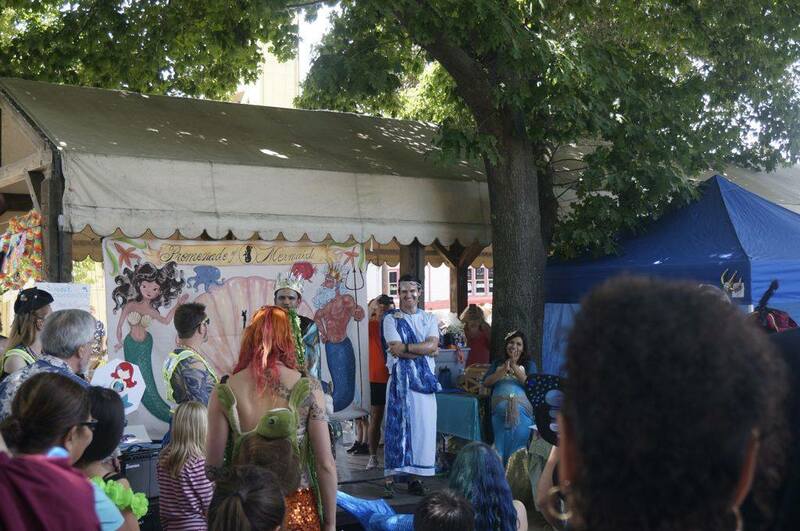 Of course, most all of The Sacramento Mermaids and Mermen, Dive Bar Mermaids and Mermen and our own Merman Alfonso will be in attendance. Prizes will be awarded for BEST COSTUME for both adult and child entrants as well as some miscellaneous categories, to be announced. 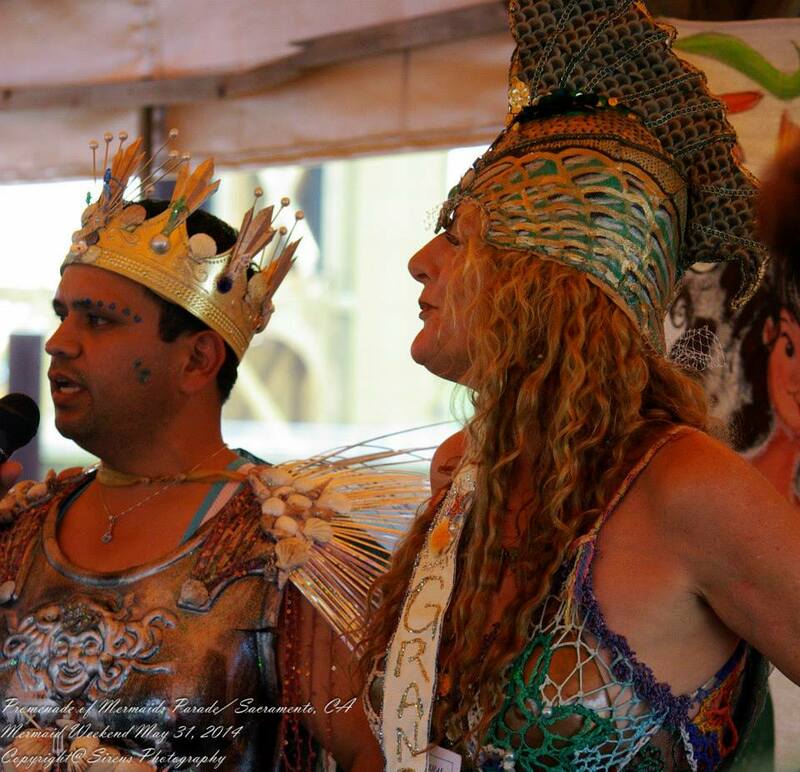 Judging will be administered by this years King and Queen, who will be chosen at random before the march begins. 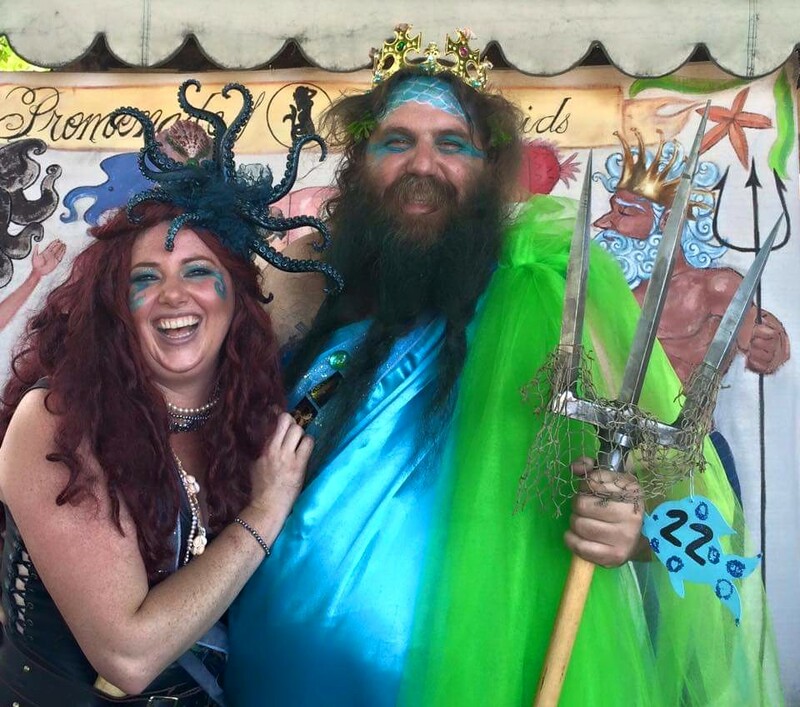 The Grand Marshal this year is Mermaid Kariel of “Mermaids on a Mission”, who will do book sales and signing b-4 the Promenade, so get there early. Also on hand will be Make A Wish Foundation, who make dreams come true for children in crisis. 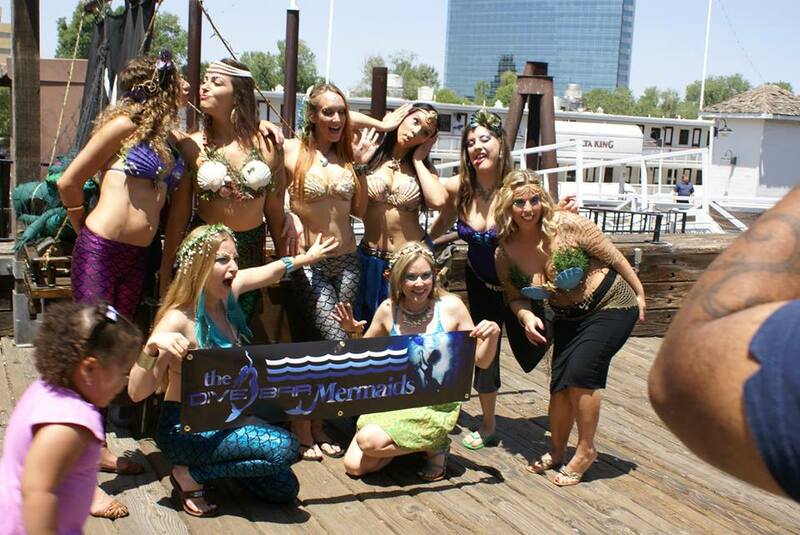 We are making this a Sacramento Mermaid Weekend again this year by linking fun nautical adventures with our Mermaid friends. 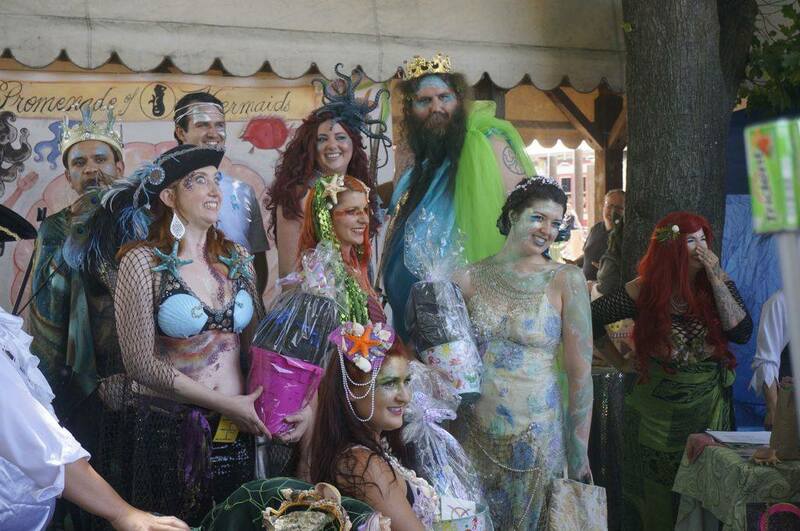 We start on Thursday 6/2 at 9am with a Mermaid accessory workshop followed by a river parkway clean-up at noon. 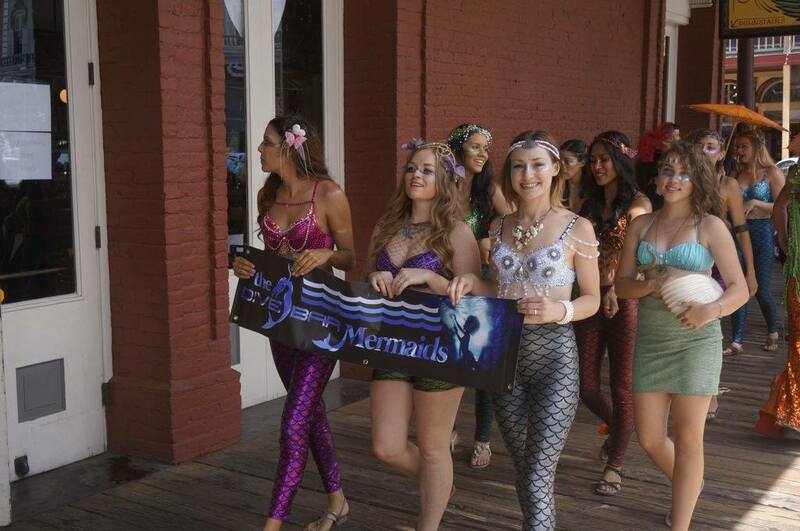 Friday at noon Dive Bar Mermaids and The Sacramento Mermaids will provide a Children’s Mermaid Swim at the Hyatt on L street for a number of lucky Mer-tadpoles followed by an Adult Mermaid Cocktail Party at 4. 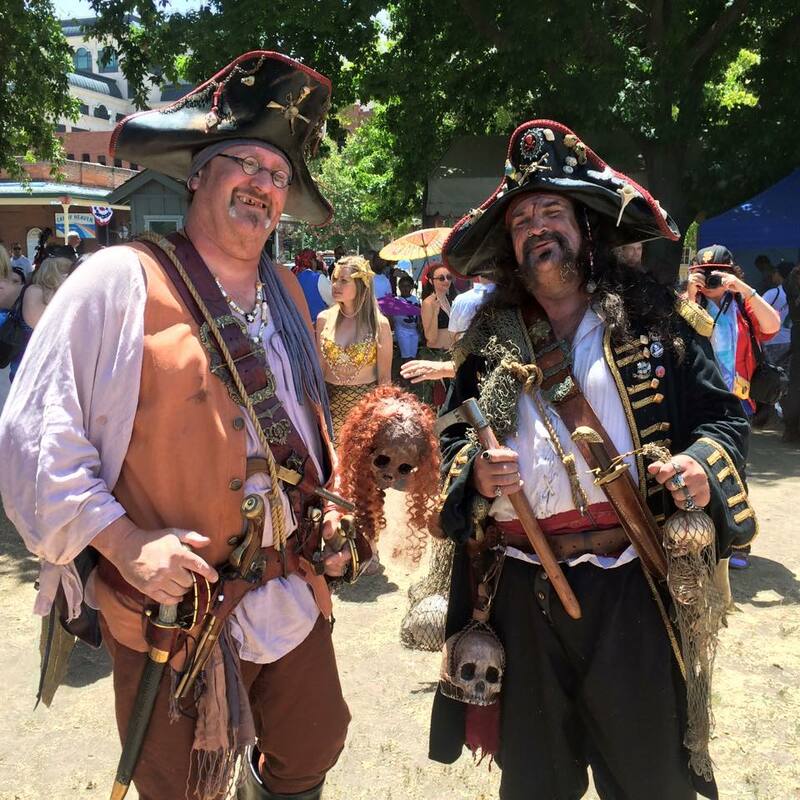 Saturday we participate in the Sacramento PRIDE Parade at 11am followed in the evening by MerMen performances at Dive Bar and Faces Night Clubs. 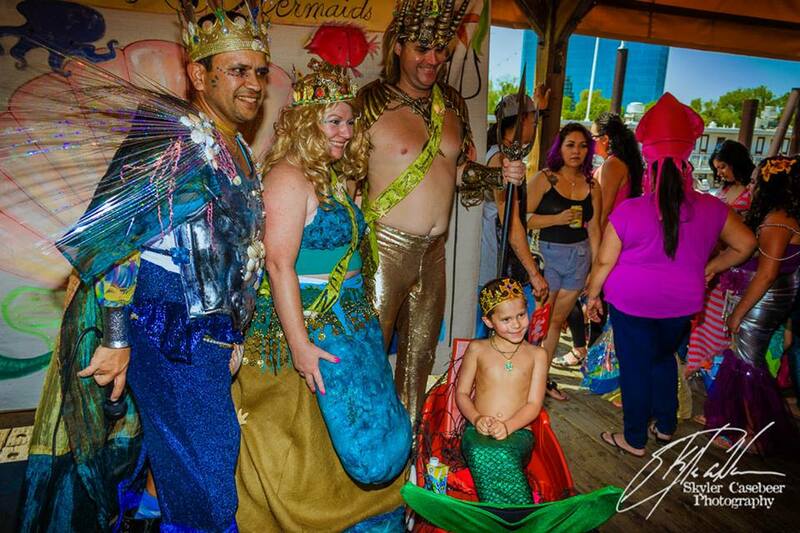 Then on Sunday, the Promenade from noon to 4 followed by an after party at 4:30pm for all ages at Dive Bar and Pizza Rock on K street with a Retro Mermaid Fashion Show by The Mermaid Atlantis beginning at 9pm. 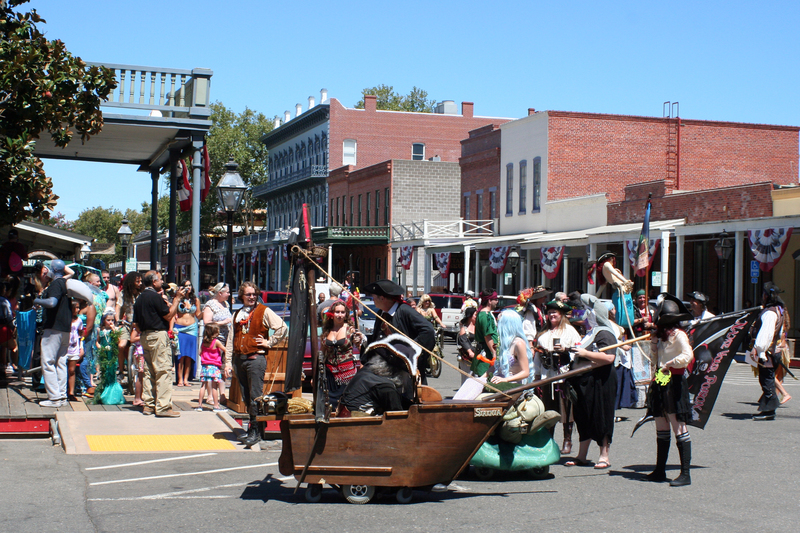 View details and updates for these activities at: https://www.facebook.com/SacramentoMermaidWeekend/. The 2016 Promenade Route should remain the same, starting and ending our stroll at the south end of Riverfront Park just north of the schoolhouse at 1000 Front Street. We may be detoured but not deterred and we are on rain, sleet or the heat of Hades. If you take photos or videos of the 2016 Promenade that you’d like to share here, please include links in the comments section below! We still have 2011 and 2012 Promenade T-shirts available, 2013 – 2015 commemorative patches and 2016 badges.— please message us to support the Promenade by purchasing items or donating via our “Donation Chest” on the day of the event at the registration table! Can’t wait to see the updated site, but I’m more excited for the actual event! I love seeing all the new outfits and it’s just fun! Looking forward to the updated site, and definitely looking forward to the event this year! Definitely looking forward to the new pictures and outfits! This site will be updated shortly. 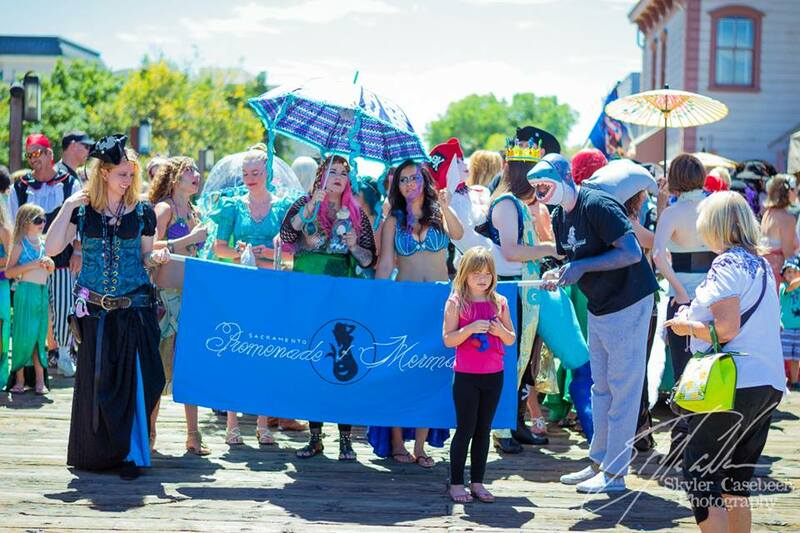 Mark Your Calendars, Our date for 2017 is Saturday May 20th for the 7th Annual Promenade of Mermaids. Same place and time. 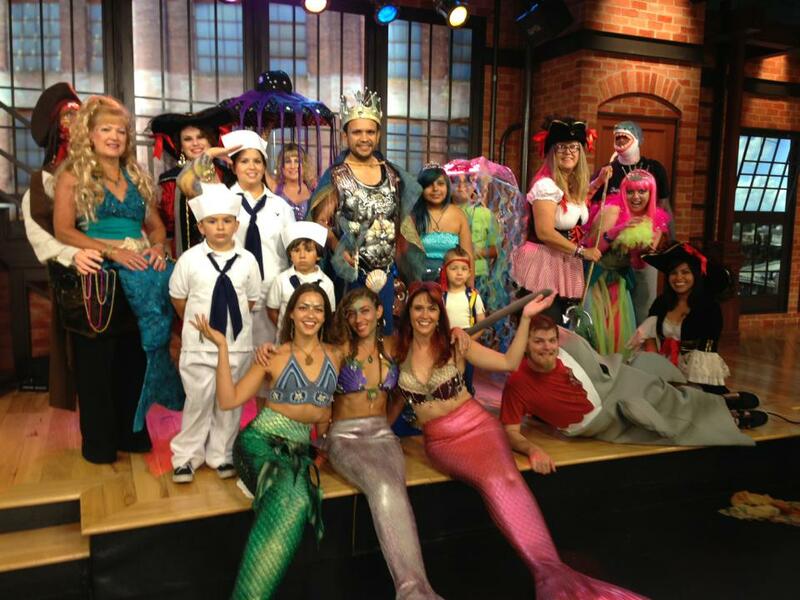 This looks like something that would be a ton of fun, especially for girls who like the little mermaid or just like to dress up. If you took pictures of the 2016 Promenade that you would like to share, send the link to AuldEnry@gmail.com and we will include those links on our various pages.